I met Ara on Twitter, of all places, and clicked to her website. I was immediately struck by the wonderful and cozy décor she had, all pink and pretty with beautiful silvery curlicue hearts and vines. So I asked her to chat with us today on Rachelle’s Window. Ara, it’s great to have you here. 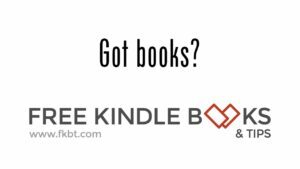 A lot of my blog readers are authors so I'm sure they would like to get to know you, especially since you also do book reviews. Tell us a little bit about how you got started book blogging. I’ve wanted to start a book blog since I got married, and that was 4 years ago. But I’ve been reading a lot since I was 18 years old. After getting married, we got ‘busy’ and had our first and (so far) only child. He’s now 2.5 years old. ;) So, in short, I didn’t really have time to do work or blogging, or even reading. But then, when my son turned two, I kinda had the rhythm that made me realize that I can now allot some hours for reading and book blogging/reviewing. So, here I am. Well, Dylan is a real cute distraction from reading and blogging. He even has an article at About.com about him! Glad that he's giving you a bit of time to get back into reading. Are you in any book clubs? Online or offline? Not at the moment. But I love the idea of an online book club. A lot actually. If I have to choose, of course, it will be the fact that I can freely discuss and share my honest opinions about the books that I’ve read. That's what it's about, right? You finish a book and look around and it's like amazing and you want to talk about it to others. Tell us your most memorable moment with a book. Memorable moment… Hmmm. I think I’ll share what I’ve experienced while reading “Breakneck” by Erica Spindler. It is a thriller novel. I was pregnant when I bought this book, and since I wasn’t working during my pregnancy, I decided to read it at night time before going to bed. I figured, I’ll just read two to three chapters and just continue it in the morning. Well, that didn’t happen, or at least, I tried to make it happen but failed. For me, the plot is really appealing, and maybe it was the hormones, but I was non-stop. I can’t put it down. I tried to sleep, but all I can think of was the book and the chapter that I was at. I finally gave in and read the whole book. I ended up sleeping at five in the morning, which was really not a good thing for any pregnant woman. But I felt satisfied and amazed after reading that book. That was a worthy all-nighter. Haha. It was a good read, and the plot is really good, and very much interesting. Yes, don't you sometimes hate those books you can't put down? But then I really love them because I still think about them. I love your website. Did you design it yourself? How did you find the time to keep it up to date? I got this template for free, but I’ve already tweaked it a lot. How do you decide which books to read and review? It depends on my mood but I only read fiction novels. So that’s a start already. ;) My favorite genres / sub-genres are murder mystery/thriller/suspense and romance. And although I read other genres under fiction, I know that if I have to choose a book to read and review, it will be from one of those genres / sub-genres first. Do you belong to any groups of book bloggers? What are some tips you might have for a reader who might want to start blogging and reviewing? Well, if you’re a reader and you want to start blogging and reviewing, my advice is to just be yourself. When designing your blog, be creative. It’s your blog, go nuts! Your readers will love you for it. When reviewing a book, just be honest. You owe it to your readers to be sincere, and not be misleading. The authors and readers will respect you for that. I love your review of Wash and Die. Not only is the cover cute, but I, too, love mysteries that aren’t easy to solve and keep me guessing. Was Agatha Christie one of your favorite mystery authors? Are there new authors you’d recommend whose mysteries ‘aren’t obvious’? You may find this hard to believe, but I haven’t read any novels of Agatha Christie. I know, I know. That’s embarrassing. I should’ve listened to my husband when we were shopping for books a long time ago and he wanted me to try an Agatha Christie’s novel which I just made a pass. He was also recommending Erle Stanley Gardner for the Perry Mason novels, telling me that these two authors started him with mystery and crime-fiction novels. But now I definitely intend to read some of their books in the near future. I’ll let you know when I grab a hold of one and publish my review. I would definitely recommend Amy Metz. I have read her first murder mystery novel (to be released this August), and was really impressed. I’ve actually posted a review already - Murder And Mayhem In Goose Pimple Junction. I just love that title! Okay, now for some fun questions. Does your husband share the same book interests? Do you swap books or maintain a “his” and “hers” section on the bookshelf? Think of all the libraries and museums of the world. If you could spend a day lost in a library or museum, which one would it be? Love this question! :D I would choose Chateau de Chantilly Library in Chantilly, France. From the pictures, it just looks so serene and lovely, and well, it’s in France. Haha. What was a childhood accomplishment that you are especially proud of? Aside from maintaining good grades along the way, I was able to write a really short story (fiction), as in maybe 1,000 to 1,500 words, when I was in high school. This story was published in our school newspaper. I don’t have any copy of it now, but I’m sure my school has one. It’s such a great feeling, even though it’s just for our school newspaper. Cool! Once you get that writing bug, who knows, you might be putting together a book, too. If you were to receive an invite to a major talk show, who would be the host and what would you talk about? The Ellen DeGeneres show. Absolutely! Oh! I love her. It’s very ambitious of me, really. But yes, I would love to meet Ellen. And we can talk about life, books, and a lot more. Sounds like a riot of an interview. :) Thanks a lot, Ara, for being on Rachelle’s Window. Is there anything else you’d like to say to any authors out there who’d like to send in their books for you to review? Thank you, too, Rachelle, for having me on Rachelle’s Window. Gosh, I am very much honored to be here. I’m Ara, a mother to a toddler (Dylan) and wife to most loving and supportive husband. I love to read and read, when the time permits. 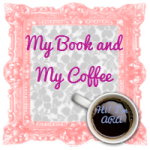 I’m a book blogger and reviewer. I believe in reading and reviewing books. Reading books is one way for me to appreciate different kinds of possibilities and scenarios, a way for me to enter unusual worlds that I may never have imagined, and a way for me to have the indescribable happiness that a good book provides. I also believe in an honest and good review or sharing what I felt and thought about the books that I've read. I love to share the whole truth of how the story made me laugh, cry, depressed, irritated, gloomy, and basically, how it affected the way I perceive things. I know that what I read is fiction, but nonetheless, many of these fictions have a shade of real life. All of these stories are written by authors and writers who are passionate and have dedicated their creative imagination to come up with their own masterpiece, and you’ll be amazed at what they have to say, what they have to tell, the choice of characters that they present to their readers through their novels and books. And I do love a nice juicy review, even though I know you can't spill the mystery on "Murder and Mayhem In Goose Pimple Junction." Will watch for its release. *waves back at Ara* This is a great interview. Dylan is absolutely adorable. What a wonderful interview. Your blog is lovely and the little bird was very cute. Dylan of course is far cuter! Great interview, Rachelle and Ara! Thank you so much for recommending my book. I'm honored to be mentioned and so happy you liked it. Rachelle's right--Ara's website is awesome. Thanks for interviewing her here and letting us get to know her a little better. Dylan is a cutie patootie! Never stop with the kisses! My 24-year-old and 16-year-old still let me shower them with kisses. It's a mama's right! Hi Amy! :D Yes, I really did. Aww. Thanks. I'm glad you both liked my website. This is sooo cool! 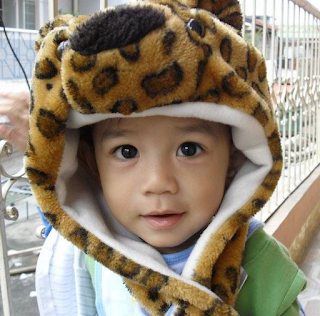 Yes, he is a cutie patootie, isn't he? Aww. I will remember that. Never stop with the kisses! :D Thank you!